TYLER- This Thursday, May 23 Liberty Hall in Tyler will show the East Texas inspired movie “Bernie,” directed by Richard Linklater. 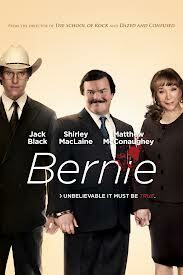 In the film Bernie Tiede, played by Jack Black, a chubby undertaker, is someone who takes pride in his work. In a series of interviews with townspeople, mixed with flashbacks, follow Bernie as he moves to the small East Texas town of Carthage, where old ladies adore him. There he befriends a wealthy, yet mean-spirited widow named Marjorie Nugent, played by Shirley MacLaine. The two become close companions in both daily routines and expensive vacations. As time goes by Marjorie changes from sour and alone to happy with Bernie; then she gets extremely possessive. What will sweet Bernie do? Before the movie starts Liberty Hall will host special guests, Danny Buck Davidson, Carthage’s District Attorney and Kay Baby Epperson, a Carthage citizen who appears in the film. They will share some of their insights and experiences from the actual occurrences depicted in the film. Doors open at 6 p.m. and movie starts at 7 p.m. Tickets are available online at www.libertytyler.com or at the door for $7. NACOGDOCHES – The Tour of Homes “Christmas Inspiration” will take place from 1 to 5 p.m. Saturday, December 8. Tickets are $15 and available in advance at the Visitor Center, 200 E. Main St., as well as at each home the day of the tour. The Tour of Homes is sponsored by Citizens 1st Bank and the Nacogdoches County Board of Realtors. Proceeds from the tour help benefit Friends of Historic Nacogdoches projects. 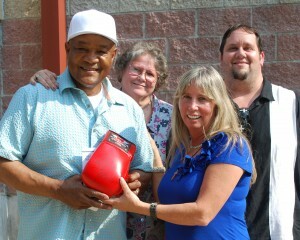 CENTER- Two-time Heavyweight Boxing Champion of the world, George Foreman, will speak at 7pm on Tuesday, November 5, 2013, at the John D. Windham Civic Center, 146 Express Blvd., in Center, Texas. Mr. Foreman will share his life story and his Christian Testimony. The Master of Ceremonies for the program will be Brad Maule, who starred as “Dr. Tony Jones” on TV’s General Hospital for 22 years. 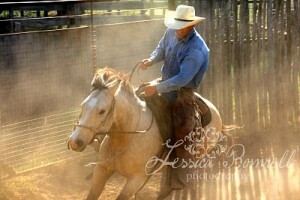 ATHENS- Saddle up and head to Athens to get in on the fun! Hosted by the Athens Chamber of Commerce and sponsored by Elder Chrysler-Dodge-Jeep, the 28th Annual PRCA Stampede Rodeo promises to be one of the most exciting yet!